“Pay yourself first” or right after receiving your paycheck, take 10% of it for investing. Sound familiar? 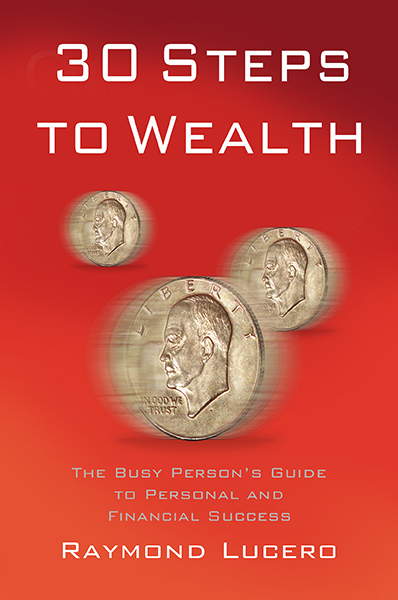 That was the classic money management tip from George S. Clason, the author of “The Richest Man in Babylon.” Originally published by 1926, the timeless personal finance tips that we can learn from the stories still hold value today. *Note: The book is in public domain and you can search for it freely on the internet! 1. Success starts with desire. Bansir the chariot maker and Kobbi the musician in the first story discussed that even though they work hard, they have not yet grown wealthy and have yet to enjoy more of life… so they decided to change it. If you’re comfortable with what you have, you’ll never be motivated to earn more and if you don’t change for the better, then you’ll be forced to deal with changes for the worse. 2. The first and greatest secret for earning wealth: “Pay Yourself First.” If you have no money at the end of the month and you live paycheck to paycheck, this is the way out. Right as you receive your salary, save a part of it first before you spend it on anything. You can make money earn money for you ONLY if you saved it first! 5. Second Cure: Control your expenditures. People earn different salaries yet have empty wallets at the end of the month. Why? Because we easily spend ALL our money on little things. An extra cup of coffee or an extra side dish, a new shirt you don’t need, and a lot of other expenses slowly eat up everything you earned. That’s what David Bach, the author of “The Automatic Millionaire” called the “latte factor.” To control your spending, you must budget your expenses and learn the discipline you need to make it a habit. 6. Third Cure: Make your money multiply. Robert Allen, author of “Multiple Streams of Income: How to Generate a Lifetime of Unlimited Wealth!” said that those who stay poor see money as something to be spent after receiving it. Those who grow wealthy see money as seeds that grow into“trees” that produce more money when planted properly. You can make your money multiply when you learn to invest in assets like great businesses, stocks, real estate, and many more! 7. Fourth Cure: Guard yourself from Loss. Earthquakes and thieves exist and they can easily destroy our fortunes. Far more common, however, is the destruction caused by our own foolish and uneducated choices. Study finance and investing well, and you’ll learn to avoid the risks that destroy thousands of estates. 8. Fifth Cure: Own your own home. It’s where the heart is, as they say. Instead of renting an apartment and simply making your landlord rich, it’s generally far better to get a housing loan for owning your own home and simply repay the lender over time. You spend money anyway, so why not own an asset alongside it? 9. Sixth Cure: Insure a future income. We all grow old and weak and we will someday pass on. The income you work for and earn now may disappear when you can no longer work to earn it. Make sure you plan for that time when you someday retire (and that you plan for your children and grandchildren’s inheritance too!). 10. Seventh Cure: Increase your ability to earn. “Preceding accomplishment must be desire. Thy desires must be strong and definite.” While you can try to fill a lake using droplets from a faucet, it’ll be easier to do so when you have access to a river. It’s the same thing with money: Find the way to move from a leaky faucet of a job and into a Niagara falls of a career or business. Where there’s a will, there’s a way, and you will likely find it WHEN YOU LEARN HOW. “The more of wisdom we know, the more we may earn. That man who seeks to learn more of his craft shall be richly rewarded. If he is an artisan, he may seek to learn the methods and the tools of those most skillful in the same line. If he laboreth at the law or at healing, he may consult and exchange knowledge with others of his calling. If he be a merchant, he may continually seek better goods that can be purchased at lower prices. 12. Wisdom is far more precious than money. “Without wisdom, gold is quickly lost by those who have it, but with wisdom, gold can be secured by those who have it not.” Remember Bansir and Kobbi’s first idea in their search for prosperity? It’s a good one. They simply thought of asking their wealthy friend, Arkad (the richest in Babylon), for advice in handling money. That will work for us too. If we want to change and become great, we can simply learn from those who’ve succeeded! We can find their teachings in bookstores and all over the internet. All we need to do is find them, learn, and act! 13. 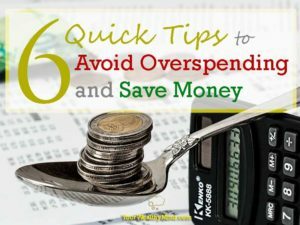 First Law: “Money comes easily to those who save at least one-tenth of their earnings to build an estate for their futures and their family.” This point is so important that it had to be repeated thrice: SAVE MONEY! 14. Second Law: “Money works hard and contentedly for the wise owner who uses it profitably and it multiplies like the flocks of the field.” A part of learning how to use money wisely is in investing it in excellent assets that produce more money, and using the money they produce on more assets that produce even MORE money. 15. Third Law: “Money clings to the protection of the cautious owner who invests it under the advice of those who are wise with its use.” There are many people out there who have learned to handle money well. Learn from their advice, from their books and writings, to earn the same skills that they have. 16. 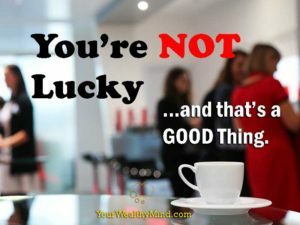 Fourth Law: “Money slips away from those who invests it in businesses or things they do not understand and the things that are not approved by those who use money wisely.” Like what Warren Buffett said, “risk comes from not knowing what you’re doing.” While educating yourself comes with a price, it’s far less than what you’d pay if you stayed ignorant. 17. Fifth Law: “Money disappears from those who forcibly uses it to earn impossible earnings, those who follow the advice of tricksters and scammers, and those who trusts their own inexperience and emotional desires in investment.” Beware of scammers! They will lure you with unusually large profits and safety and hook you with your greed. The best way to avoid them is to be educated about what you’re doing. If it seems too good to be true, it most likely is. 18. Be very cautious with your money. Money borrowed for wise means such as for intelligently planned businesses bring great results, but money borrowed unwisely such as for entertainment and pleasure and money borrowed by those who do not know how to use it well bring tragedy. 19. Adequately protect yourself. Even the city of Babylon built great walls and had skilled and well trained guards to defend itself against people who wish to loot its treasures. Vigilance against robbers in the streets as well as added security against burglars trying to break into your home will always be necessary. 20. Do not let your bad money habits enslave you. As it says in proverbs 22:7, “Just as the rich rule the poor, so the borrower is servant to the lender.” If you have developed the habit of wasting every paycheck and borrowing from friends without repaying them, then you will simply be a slave to money. Learn better financial habits and let money be your tool, not the other way around. 21. Pay debts promptly. List down those whom you owe money to (that includes bills to banks) and how much you owe them. For every paycheck you receive, save an additional amount of money to slowly pay them all back. As you keep doing this, you shall eventually be free. 22. Find fun and meaning in work. Success and a good life do not appear from nothing. They both need to be earned. And there you have it! 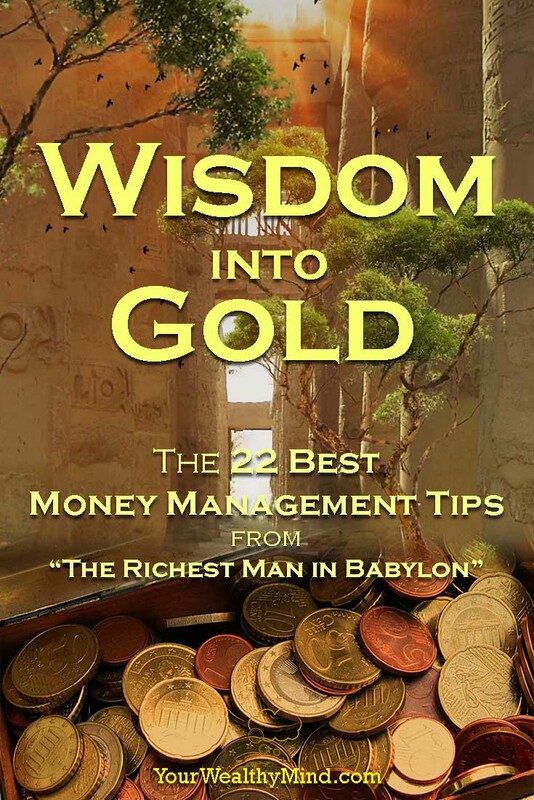 The 22 best money management tips from George S. Clason’s “The Richest Man in Babylon.” Again, the book is now in public domain so you can just search for it on the internet! If you want a version for your Amazon Kindle app, you can buy it here on this amazon link!